1.2 Method 1: – If you require enough storage space. 1.4.1 If Method 1. Doesn’t work for you, then you should have to reinstall your Google Play store app. The most noteworthy expert of apps on Android is the Google play store.With Google Ply store, every app is just a few taps away. However, Sometimes, your experience of installing your favorite app might be ruined by a few errors. One of the most common errors on the Google play store is Downloading Error “insufficient space on device”. If you face the Error “insufficient space on device” problem on your Android device, we have an easy and simple solution for you, which will remove the “Error Downloading there is insufficient space on device” warning from Google play store. Method 1: – If you require enough storage space. If you are experiencing low on storage on your Android smartphone, here are a few suggestions for you that can help you get cleared of “Error Downloading- insufficient space on device”. Then, you can continue installing apps on your Android device from the Google Play store. Move media to SD card. Transfer photos to cloud storage. Clear Content of less used apps. 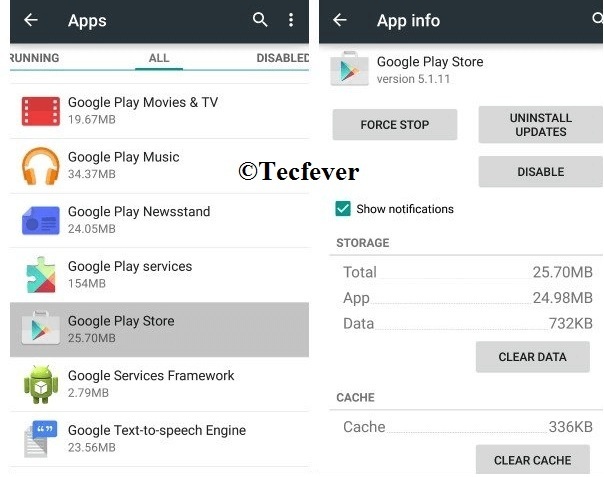 Even if you have sufficient storage available on your Android device, Google play store might show Error “insufficient space on device”, and here is a method to fix it. If Method 1. Doesn’t work for you, then you should have to reinstall your Google Play store app. Step 1. Open Settings > Applications. Step 2. Swipe to “All Applications“. Step 3. Scroll down to the Google play store app and open it. Step 4. Tap on Uninstall updates. Step 5. Restart your device. Step 6. Then open the play store once, and keep the device connected to the Internet while your phone updates Google Play store in the background. Once the update is complete, you can resume installing apps on your phone from the Google play store. 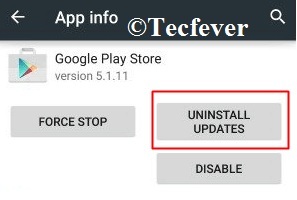 We hope the above method will help you remove Error “insufficient space on device” for installing apps from Google Play Store. For any queries and doubts, please feel free to write to us in comments below. Fix The Error "Insufficient Space On Device"
how to Fix The Error "Insufficient Space On Device"